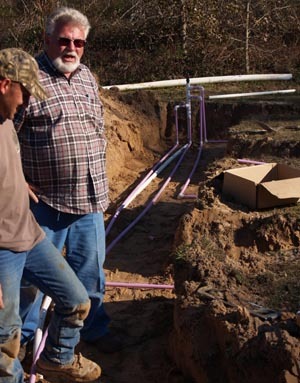 The Wildwood Community sewer project has been funded by USDA-Rural Development. This is a 75% grant and 25% loan for a total of about $1.2 million. 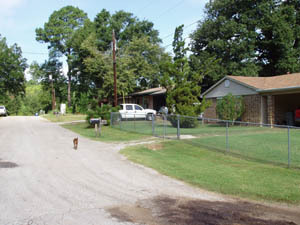 Redland Estates Subdivision - Angelina, Co. The Redland Estates sewer treatment system has been funded and construction should begin within the next twelve months. Thirty-seven homes are currently on the collection system but this new wetland treatment system will allow for new development. Redland Water is the utility. The Shelbyville community and school are working jointly to build a wastewater treatment system. 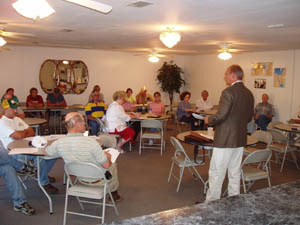 A feasibility study was prepared by Jimmy Owens with Goodwin Lasiter and Associates. They are pursuing various funding sources. 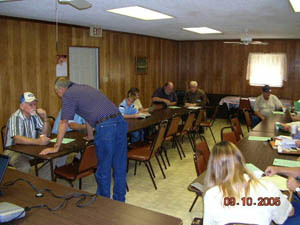 ORCA meeting at Rolling Hills - Shelby Co.
Rolling Hills has been approved for a 100% STEP grant for a new water system. 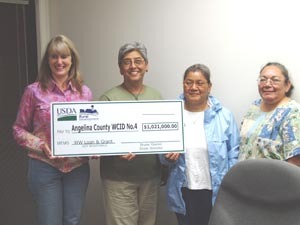 This is a self help grant from the Office of Rural Community Affairs (ORCA) in which the local residents will do much of the work themselves. SEP allows organizations being fined by Texas Commission on Environmental Quality (TCEQ) to direct the money to a local project with direct environmental benefits. A unit of government can give 100 percent of the fine back to the community and private entities can give 50 percent. This program had funded more than $2 million a year through RC&Ds statewide since Pineywoods RC&D started the program in 1999. To date Pineywoods RC&D has administered over $300,000 in SEP funds. 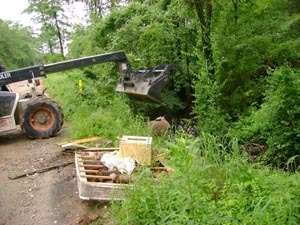 These funds were used to cleanup illegal trash dumps, cleanup abandoned tire sites, host household hazardous waste collection days, and repair failing onsite sewer systems for low income families in Anderson, Angelina, Cherokee, Gregg, Houston, Nacogdoches, Rusk, Sabine, Shelby and Trinity Counties. 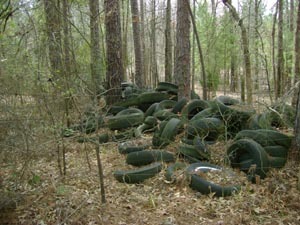 Abandoned tires - Anderson Co.